It is wonderful to be resuming our newsletters and looking forward to updating all of you on many important issues. Many of you might have heard that over the Succos holiday our Brooklyn office was wiped out due to a fire. We are working very hard to keep things rolling smoothly and resume as many functions in the tri state area and beyond as possible. Of course we can use all the help that we can get! We are also proud to announce the opening of our Silver Spring chapter with the first meeting on November 18th. (See web site for details in the events section). We are looking forward to the opening of many more needed JDA chapters. Please join us together with your friends and family at our first major get together, this Motzoei Shabbos, November 10th in Brooklyn (details below). We hope you have a grand time at this Melave Malka/Chinese Auction that will be packed with fun and surprises. But more important will be the information that you will be passing on to JDA so that we can know how to fulfill the needs of the community to the maximum. Delicious Nutritional Buffet, Chinese Auction & More!! This is a letter from Devora Waiss as seen in TV Vues. Hi! I am Devora Waiss and I am 11 ½ years old. In my house I always grew up with my parents telling me that I can’t have a Bat Mitzvah party unless I do a Chesed project. Well, I turned eleven and I knew I had to pick a Chesed organization. I searched and I found (JDA) Jewish Diabetes Association. I asked my mother about the JDA and she told me about the organization. It was perfect. 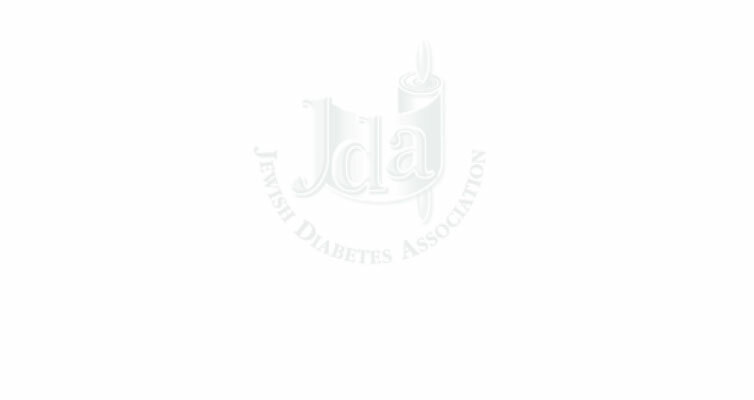 Since 1985, the JDA has been helping Jewish people with diabetes financially, emotionally and physically. They need our help! Putting together this event is hard work. But B”H my friends and I from various schools in Brooklyn have joined together to bring a magical evening to you, on November 10, 2007 @ 8:30PM featuring magician & mentalist David Blatt, a delicious nutritional buffet by Burtolucci restaurant with special dishes from the “EnLitened Kosher Cooking” cookbook, and a Chinese auction in The Young Israel of Midwood 1694 Ocean Avenue. Brooklyn, NY. For more information please call Feige 718-338-6344 or call me 718-375-6096. I look forward seeing all of you. combine your lifestyle and good health! Please go to Meet Our Professionals to see the BIOS for our new and already existing partners in care. We are now featured on AOL About.com. You are welcome to visit there for more recipes! ONE SMALL STEP FOR MANKIND---ONE GIANT LEAP FOR JDA! We are looking forward to hearing your comments and sharing your tips and experiences with others and us. We welcome and desperately need volunteers in many categories to help keep this e-newsletter, website and many planned projects going. Please go to our website and fill out the volunteer and membership form. Presently there is no membership fee but your information will help us keep you up to date. BECOME A PART OF THIS VITAL WORK. Your donations will give YOU a portion in the Mitzvah (good deed). To advertise, sponsor AND/OR DEDICATE any portion of the web site and newsletters, please contact us.